Recover Video from Canon HDD Camcorder. The hard disk drive may be formatted by accident, or had video deleted. The movie clips may no longer be showing on the lcd display screen. The camera may have hdd hard disk access error. Video may have been recorded in AVCHD and we can recover the clips in original sequence so they join together like the recorded clips. If you need a Canon HDD Camcorder Video Recovery service, then contact our friendly company. 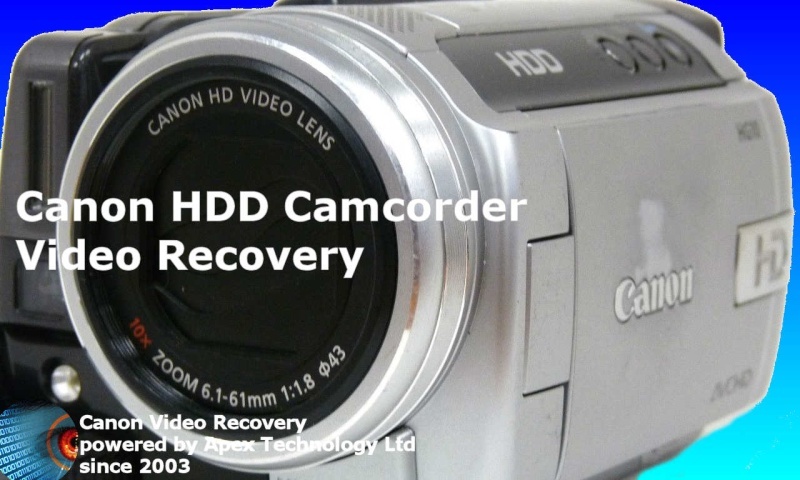 Recover Video from Canon HDD Camcorder. The hard disk drive may be formatted by accident, or had video deleted. The movie clips may no longer be showing on the lcd display screen. The camera may have hdd hard disk access error. Video may have been recorded in AVCHD and we can recover the clips in original sequence so they join together like the recorded clips..